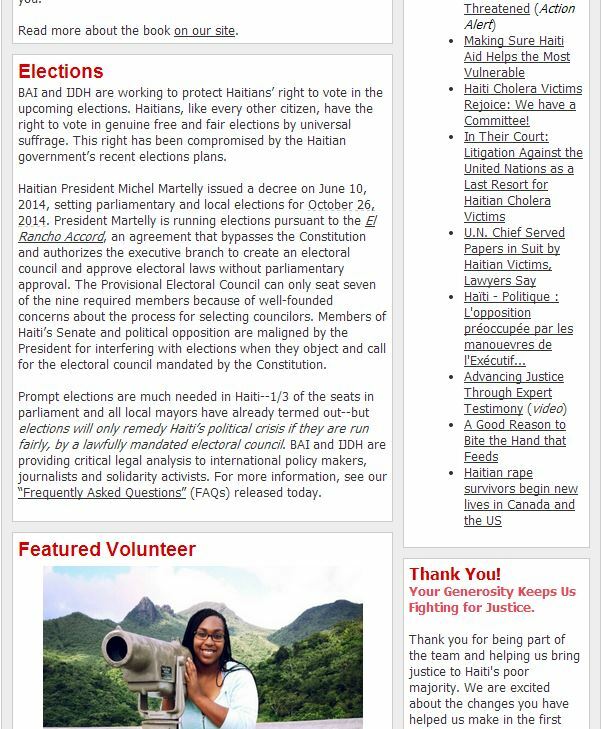 Haiti Cholera Victims Rejoice: We have a Committee! 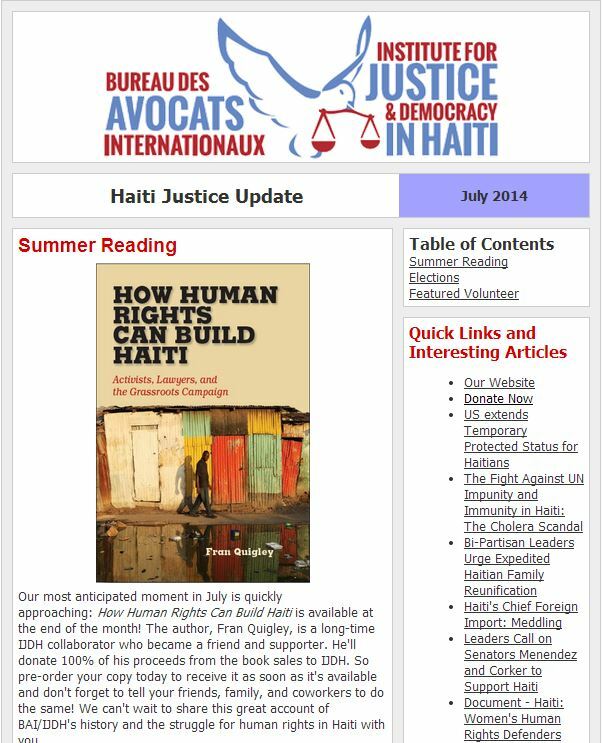 Read more about the book on our site. For more information, see our “Frequently Asked Questions” (FAQs) released today. Please consider donating today and continue your support for the critical work you help us do. 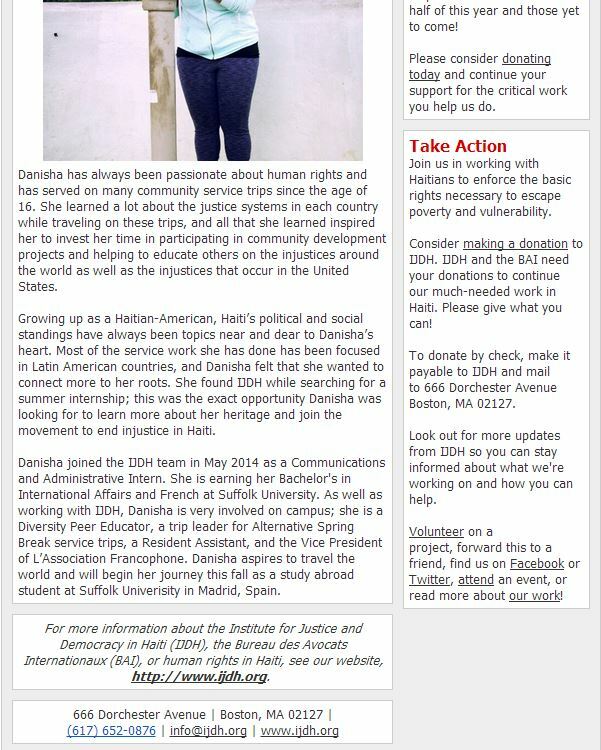 Consider making a donation to IJDH. Volunteer on a project, forward this to a friend, find us on Facebook or Twitter, attend an event, or read more about our work!